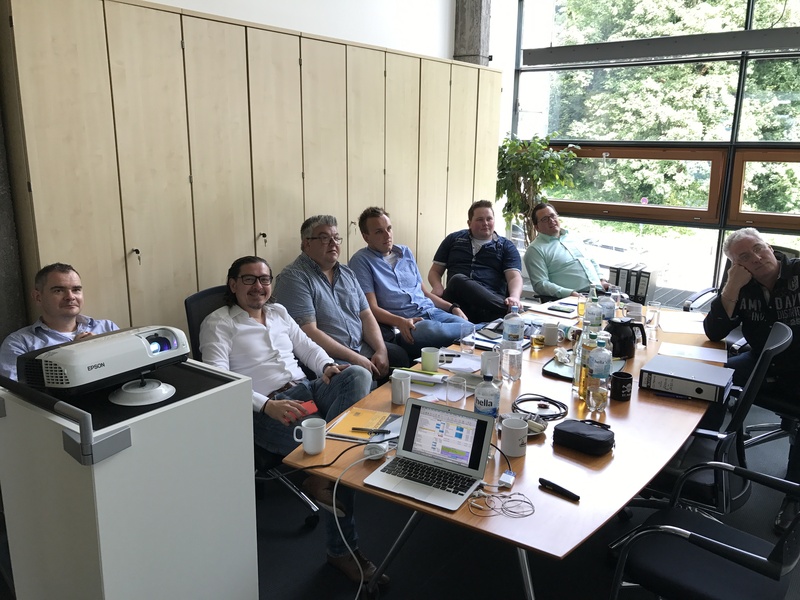 Continuing with the Peterson Pest Control Academy series, the IPM for Managers and Sales People course took place in Hamburg during the last week of June. The two-day course focused on specific skills to enable participants to begin IPM operations in their own offices, including creating a business plan, marketing, pricing, and competition. As with the first PPCA course, we were fortunate to have a diverse group of participants, representing the Netherlands, Germany, Poland, and Greece. On the first day, speaker Vasilis Sotiroudas familiarized the participants with the vast range of IPM services provided by Control Union, from conducting a GAP analysis to heat and phosphine fumigations. They also worked through an in-depth fumigation case study, taking notes of high risk areas and insect entry points. The second day of the course switched gears to economics, focusing on the financial logistics of opening a pest control business. Speakers Johan Maris and Peter de Weert explained the trajectory of pest control within Control Union’s global operations, and Baldur Grunt from Detia Degesch gave the participants an introduction to the company’s cutting edge fumigants. The participants then investigated a case study of a Russian client, learning how to maintain excellent service and customer service from sale to project completion. The next course in the PPCA series is Heat and Controlled Atmosphere, which will be held on 11-13 September in Greece.